Contrary to popular belief that an average human being only uses about 10% of his/her brain, it is arguably the most used part/organ of the body. It is quite surprising to know that even when we sleep, the brain still does its complex tasks of transmitting information throughout the body. But as we age, it only tends to perform significantly slower, commonly resulting to memory loss, less focus, sleep disorder, anxiety, stress, or worse, dementia. So what exactly do we need in order for us to take care not just our body, but also our mental state? After all, the brain is the main control system of the body, right? Pycnogenol is a standardized complex of highly-active plant substances such as procyanidins, polyphenol and phenolic acid from French maritime pine extraction (Pinus Pinaster). Proven beneficial facts of this plant extraction include enhancement of memory, attention, mood and other higher brain functions. 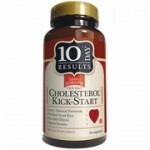 It also improves blood circulation to the brain and retinal tissue of the eye. Taurine is an amino acid that helps the detoxification process of the body, as well as facilitates the catalytic, protective and regulatory functions of the body, which is essential for body development and maintenance. 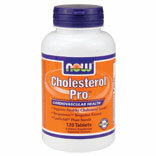 Taurine is also vital for producing bile fluid in the digestive system for better digestion. Having Pycnogenol and Taurine from your daily dose of supplement, paired with a balanced diet, adequate sleep and regular exercise and will help boost back your brain’s prime performance while promoting & maintaining your state of well-being, resulting to better you. In addition, the antioxidant properties that are being produced by these two ingredients eliminates free-radicals, which is responsible for early-aging; and hypochlorus acid, a chloride-containing oxygen derivative that is commonly used in bleach and disinfectants. 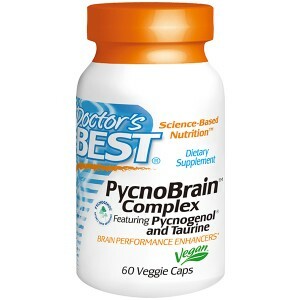 Doctor’s Best PycnoBrain is a standard-based dietary supplement that has the full benefits of Pycnogenol and Taurine. Suitable for both kids and adults, this supplement is also advisable for vegan, for enhancing mental performance and well-being. Thinking twice? Why not… Think AHEAD?